Thousands of years have passed since the defeat of Kid Buu by the heroes known simply as the Z Fighters. 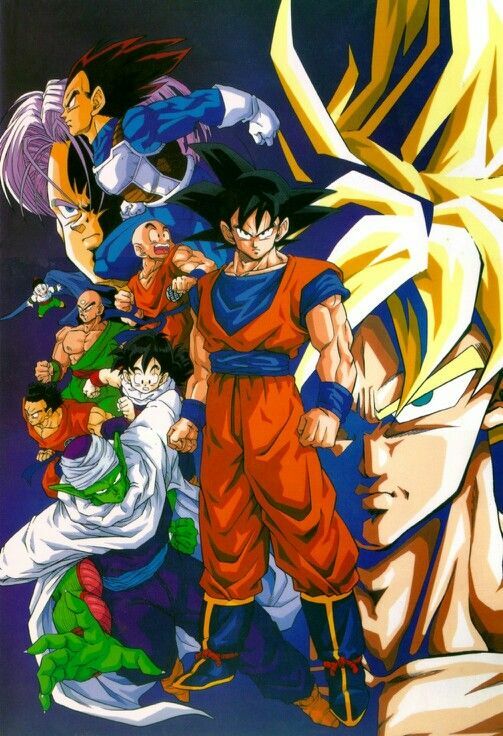 Son Goku has been hailed as a savior of the galaxy by those who know of his amazing feat of defeating not only the wicked tyrant Frieza but the demonic Majin Buu as well. Having even obtained godhood, it seemed like the galaxy at large had little to fear. However, despite all his power Son Goku was not immortal and as time wore on, he too eventually succumbed to time’s power and the multiverse no longer had a hero to physically gaze upon in awe but rather a figure that upon his passing had now become the stuff of legends. On many planets, the tale of ‘The Super Saiyan’ of lore appearing on Namek and defeating Frieza, thus breaking the back the Trade Planet Organization had on the seventh universe was taught in studies all around the galaxy. Still, while Goku and Frieza may both have long since departed from the mortal plane, the bonds of fate that brings pure and noble warriors against monsters as happened have been sewn once again. Although all twelve universes thrive and prosper, in the Seventh Universe in particular, followers of Frieza’s ‘iron fisted-rule’ have began joining together to try and reimpose that type of terror upon the galaxy at large. The planets that have been unfortunate enough to be invaded/subjugated under these monsters have suffered through terrible intergalactic peace violations. With torture and public executions for speaking out or insulting Lord Frieza or any member of the organization being awfully common. Resources are plundered from the invaded planets and brought back to the ‘homeworld’ of this movement: The planet Reza, a fiery planet with a hell like landscape that’s forced its people to build cities in the sky to avoid death from the lava below and learning how to fly is a necessary skill to survive on the planet. Banners/buildings/statues dedicated to Frieza, his father King Cold, and even his brother Prince Cooler are scattered all over the planet’s cities. This group had branded themselves as the Freezing Heart Corp for wherever they struck, the people’s blood would run cold once they had their planet’s current government overthrown and forced under the heel of the FHC! Other intergalactic organizations such as the Galactic Patrol with their numbers bolstered by humans(having learned about how to manifest their inner ki thanks to Son Gohan’s book on ki control)saiyans(immigrants from the Sixth Universe)and Namekians(experiencing a population growth due to the centuries of peace that their people have thrived through), they do what they can to fight back against the FHC, though some critics have wondered if the Galactic Patrol’s deployment on certain planets is any different from FHC’s occupation of the planets under their thumb due to complaints about abuse from Patrolmen and so on. While the Galactic Patrol and the FHC duke it out however, smaller players are seeking to expand their own spheres of influence. The Arlian Kingdom(after being wished back from being destroyed by Nappa and Vegeta) for example is seeking to extend it’s hand in friendship to its neighbors though some are understandably suspicious of King Moai’s true intentions. The Yardrats having previously been an all-around neutral race have recently stated a policy of armed neutrality with warriors such as Soba standing guard ready to defend the Yardratian people from any threats. By now, it’s likely become apparent that many threats depending on which side you pick have popped up. But if you find yourself feeling overwhelmed, steel yourself and prepare to enter a world unlike any you’ve seen before. Prepare to enter…Dragon Ball! Everyone’s life follows a different path and it’s up to you, the player, to decide which one your character will take. Will they live life as an Arlian, perhaps seeking to incite revolution and overthrow the monarchy or an Arcoasian seeking to get by through trade and bartering just as they had with the saiyans long ago? Maybe you simply wish to be a human who seeks adventure and travels into the far depths of space. Whatever path you choose, I hope it’ll be an enjoyable one!! Many races scatter the 12 universes that make up the world of Dragon Ball. Which one will you be? The original androids were mechanical constructs and cyborgs created by the evil scientist Dr. Gero to kill Goku. While the original Androids created by Dr. Gero were designed to conquer, assassinate, and destroy--a few like Android 18 broke free of that mold and proved that androids could do good. Evil androids still exist, but Capsule Corp. also reverse engineered Gero's creations and built their own versions--androids meant to be defenders and protectors of Earth. Not all androids are of the mechanical variety. Some androids are the result of biological experiments and have the ability to harness the ki of organic creatures. There have been instances of human scientists attempting to replicate the research of Dr. Gero and his bio-android known as Cell. Demons are the creatures born of the Demon Realm. Although, sometimes other species will fall into demonic corruption and take on demonic traits. Many demons are savage and full of malice, fueled by their hatred towards the Kais and the Gods that promote creation and order in the universe. Many only wish to see the unmaking of everything. Few demons have the power to escape the Demon Realm, where they are trapped. However, there exists a select few portals that allow them to trickle through and wreak havoc, if left unchecked. Earthlings hail from the tiny blue planet of Earth. In the past most earthlings did not have the ability to manipulate ki. These days, although you won’t see Joe Regular shooting ki beams, most people have a moderate enough knowledge to be able to float/fly. To do more however, they must train hard to achieve that ability. Because of that, Earthlings tend to rely on their advanced technology. With the the advent of space travel through Capsule Corporation and the reverse engineering of starships by Bulma, humans have spread out across the stars--colonizing many worlds. . Humans are the most populated types of Earthlings. They're just like you and I. Some Earthlings are sentient animals. These bestial people are quite diverse, ranging from pig-anthros like Oolongs, dogs like Shu, and cats like Puar. Animals are fully accepted within the earth society. Centuries ago, the King of Earth was a dog. Known for their most infamous member, Lord Frieza, this race's name has never been revealed. They often have many strange transformations and have a natural affinity for gaining power. They have been called Frieza Clan, Frost Demons, Icers, Changelings.. Despite their mystery, these beings have begun to emerge again and compete among each other for scraps of Frieza's defunct empire. Their disjointed competition is probably the only thing keeping them from ruling the universe. Born of originator Majin Buu, the majins are magical genie-like constructs made out of a putty like substance. Like Buu, many love sweets and have short tempers. Majins are uncommon, but a few can be on Earth. Fortunately because the events of the Majin Buu conflict were erased from the minds of the Earthlings, no one bats an eye at their presence. The green skinned people of Namek have a storied history. They are the creators of the dragonballs and have a natural affinity for using ki. Namekians also have natural regenerative healing that allows them to recover from terrible wounds. Namekians once lived on the planet Namek, but their home was destroyed by Lord Frieza during his fight with a Super Saiyan. They were located to New Namek and have since rebuilt their society and are stronger than ever. Some of the Namekians have even joined the Galactic Patrol and help protect the galaxy against evil. The Saiyans are a warrior race who once lived on Planet Vegeta and served Lord Frieza in his armies. The Saiyan homeworld was destroyed by Lord Frieza, who feared they would grow too powerful. Other than a couple survivors and their hybrid offspring, the Saiyan race nearly went extinct. Saiyans have since been repopulated. The legends say that Saiyan volunteers were brought over to colonize, from a different Universe 6 where they were never destroyed. Those are just legends that many Saiyans dismiss to this day. The Saiyans are now nomadic and have just a tiny population most living as as mercenaries or professional fighters. It's important to note that Saiyans from Universe 6 do not have tails naturally, however there exists gene therapy to awaken that hidden power. Full Saiyans are pure blooded. A Saiyan Blooded person has the genes of a Saiyan in them and gain the same benefits of being a Full Saiyan. The Shinjin or the "Core People" are a species of divine beings from the planet Kaishin. They are born of magic, as fruit from the mystical Kaiju Tree. They are beings of creation and also serve as the watchful deities over the universe, some of them being Supreme Kais. Shinjin look to reverse the corruption of the Demon Realm and help preserve life wherever they can. There are two variations of the race, depending on whether or not they are born of ordinary Kaiju Fruit or Golden Kaiju Fruit. Those of ordinary birth have less humanoid appearances and are destined to become Kais. Those born of the golden fruit are more humanoid in appearance and are destined to become Supreme Kais. The universe is a big place. There are countless billions of stars and among those countless billions of planets. Xeno is a human catchphrase describing any alien being or outsider. Feel free to describe your Xeno species as you wish.